Since earlier times, Lebanon was present as an oasis of freedom in the Arab world, and has fashioned a civilizational model of co-existence based on tolerance and openness among the various Lebanese sects. It also bestowed an impressive example of a successful human experience in the admiration and acceptance of the other, and in the rejection of intolerance, which is a feature of ignorance and backwardness. Additionally, the bond of co-existence has continued to unite the Lebanese people who are connected to their homeland despite all of what has occurred of wars and conflicts of which they were not responsible for. Rather, it was the wars of others, those who advantaged from the significant weakness of the state back then, in order for them to form statelets, statelets of streets, alleyways and regions. The Lebanese people today as well as before are yet holding onto their unified homeland and the one-state project, which forms the sole authority for all citizens in various fields and domains. This is highly accomplished through a political regime that effectively constructs it as a 'human state', which respects the diverse beliefs, doctrines and religions, without endorsing privileges for a sect over another or for an individual over another because of their religious affiliation since all should be equal before the law. In this respect, the 'Taif agreement' has favourably responded to most of the Lebanese citizen's ambitions in laying the foundations of a state of public institutions and law. We look forward to the day when the state becomes solely responsible for security, defense, politics and economics in addition to other tasks undertaken by countries for their people and homelands. The state that everybody should fall under its banner, this state shall be the only authority responsible for taking decisions through its institutions, and is the exclusive authority of resolutions whenever disparities take place. Consequently, everyone should accept its provisions and the implementation of its decisions without exception on the permanent basis that loyalty should be to the homeland and state and not to a sect or party or even to a political and religious character. 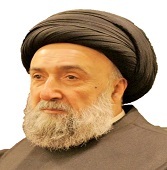 In order to achieve this purpose, there must be an incorporation of a set of reforms and re-examination of some of the administrative policies, which have been taken by adoption for a long period of time, driving an individual's loyalty to their sect and to their sectarian leader. Since the state made the leader, the source of all services provided to the people of his community, to the extent that the leader turned out to be in the view of his followers the one who supplies and the one who inhibits, he is the state as well as the law and order. Thus, he must always remain in power, even if he offended the state and disobeyed it. Therefore, services must be removed from the hands of parties and leaders, confining them to the Lebanese state and its institutions not to individuals and persons. Accordingly, the citizen's bond becomes connected to their state that ensures their rights rather than being linked to a party or a sectarian leader who in return has used these services as a weapon against the state's institutions and laws to serve his goals or to enhance his loyalty to external affiliations. Reconsidering the education curricula and programs and to work on its standardization in various stages in the public and private sectors. Abolition of theological teaching in public school is necessary as public education should be limited to only national education. On the other hand, religious teaching must be left to churches and mosques in addition to religious authorities which are in need for preparation and organization so that they are consistent with the spirit of this era and co-existence that calls for a culture of openness and tolerance. Additionally, to review the establishment of political parties and to prevent its formation on sectarian and religious grounds, alternatively it should be based on governmental and public programs that are of the best interest to all citizens. This representation becomes one that is political, social and cultural, rather than sectarian and doctrinal. Thus, we then get to establish a parliament where citizen's selection for its members will be grounded on political projects and social reforms away from doctrinal and sectarian motives, and thereby strengthening the stance of national fusion and democratic competition. This is part of a process in building Lebanon the future, Lebanon the stability and prosperity, returning this country to a pearl in the east and a model of civilization in the finest and noblest of human relations in the region and the world.